I had leftover chuck roast today. After making roast beef sandwiches twice, I wondered what I could do kinda creative with the leftover beef. I had asparagus I needed to use too! 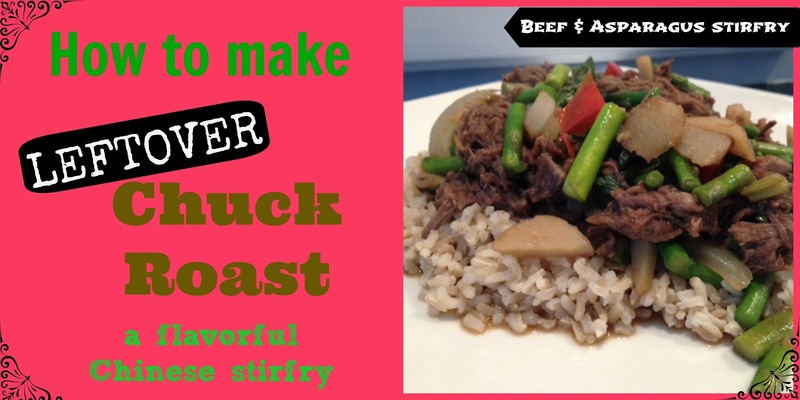 I feel like a Master Chef after finding this recipe for Beef and Asparagus Stirfry! I modified it a bit and voila (or some chinese word I don't know). The result was this wonderful dish. Yummy! I prefer chicken over beef any day but I REALLY enjoyed this dish! Give it a try and let me know what ya think.